The long-anticipated recognition of Ed Albrecht for his years of state-wide Trout in the Classroom efforts has happened. Ed was awarded TU’s Distinguished Service Award at the 2014 TU Annual Meeting in Santa Fe in early September. “When Ed Albrecht retired from American Airlines in 2007, he likes to say that his "second career" began. That year, Ed took over a 45-gallon tank and $200 worth of equipment in his hometown of Cheshire, CT, and began running the Salmon in the Classroom program for his local Hammonasset Chapter. One tank became four, salmon transitioned to trout and Trout in the Classroom started to grow. “At the same time, Ed began working with volunteers from two other chapters in Connecticut and he quickly donned the cap of TIC Coordinator for the Connecticut Council. Seven years later, and under Ed's guidance, expertise, mentoring and support, TIC in Connecticut now includes all eight chapters, over 114 trout tanks and more than 9,000 students engaged in the program. Beyond the classroom, Ed has helped grow the TIC program to include many field trips and streamside educational programs as well as youth fishing days and more. Trout in the Classroom (TIC) is an innovative education program desigend to bring students' studies of the natural world to life. Each year, classrooms across the state are equipped with specially designed trout rearing tanks. Teachers, aided by a Trout Unlimited coordinator, work with their students to raise trout from eyed eggs to fry, releasing their trout into an area river towards the end of the school year. During the course of the year, students learn about the importance of healthy river ecosystems and how claen, cool water is a critical need of trout and other aquatic life. The program is a partnership between Trout Unlimited chapters, the Connecticut Department of Environmental Protection, local PTAs and others. Trout in the Classroom is a pre-packaged education tool which can be adapted and expanded to fit the needs of any class curriculum, depending on the age of the students, the particular focus of study and more. Teachers have access to a full range of resources and lesson plans, along with the ability to create their own curriculum around the program. 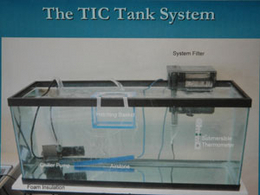 A specially equipped aquarium is set up in the classroom in the early fall. 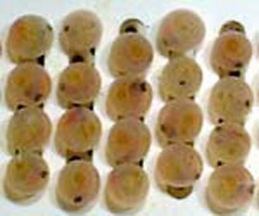 The Connecticut Department of Environmental Protection furnishes fertilized eggs and feed to each school's program. TU volunteers provide training and assistance to teachers who wish to present the course. Teachers set up an aquarium and incubate trout eggs in their classroom with the help of a Trout in the Classroom coordinator (a TU member). Together, they ensure that all of the equipment has been purchased and is assembled by September. In general the teacher and students are responsible for daily maintenance and observation of the eggs, while the coordinator is responsible for obtaining permits, delivering the eggs, and arranging for one or more TU TIC volunteers to serve as mentors. 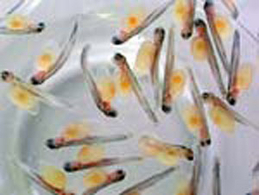 At the end of the program in spring, the final result is an aquarium full of trout fry (juvenile fish) that are released into a state-approved body of water during a class field trip in late April to early June. Trout in the Classroom is an extremely rewarding program for students, teachers and mentors. The program can be set up in one school or in collaboration with different schools. 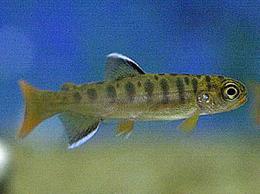 To start a TIC program in your school, contact Ed Albrecht, the Connecticut Trout in the Classroom coordinator. If you take care of the fish, the fishing will take care of itself.